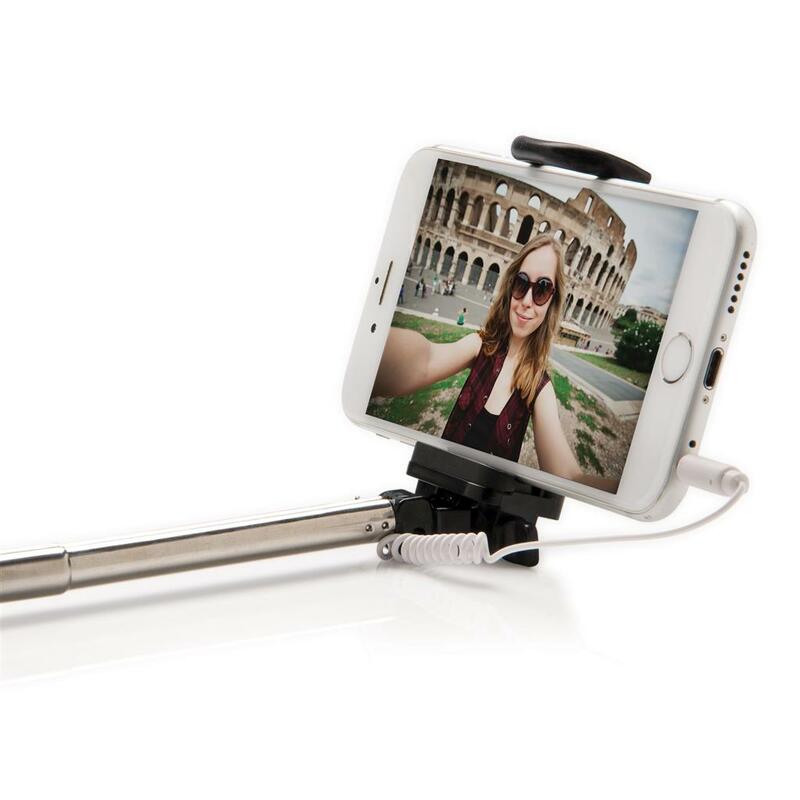 Pocket size selfie stick with ABS body and SS selfie pole. 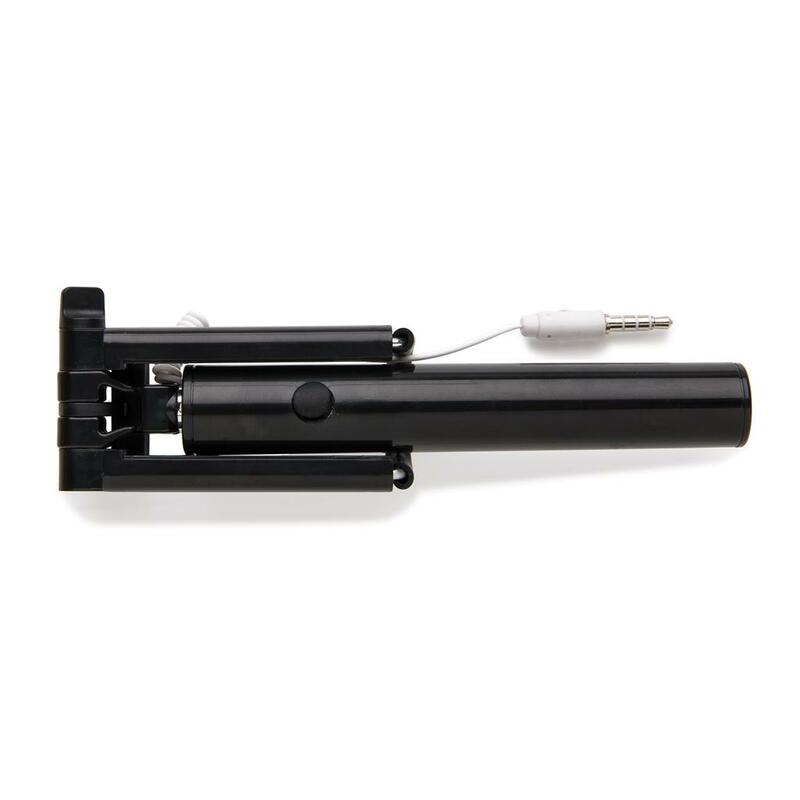 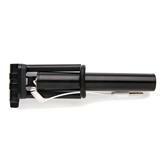 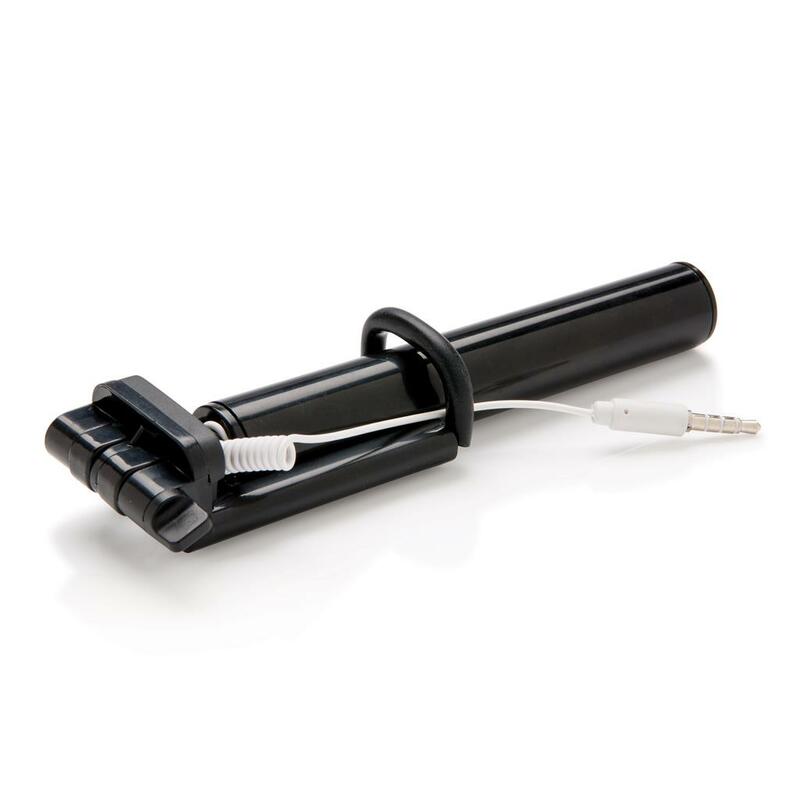 The selfie stick can be used by simply inserting the audio jack cable into your mobile phone so there is no need for a wireless connection. 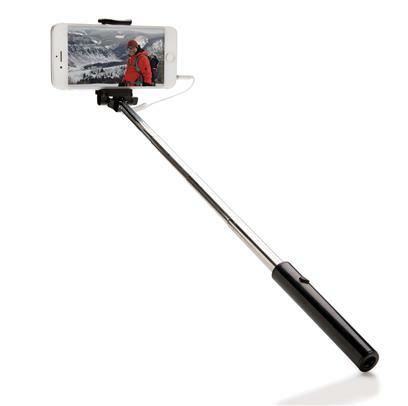 The selfie stick is 52 cm long when unfolded and only 15 cm when folded! It allows you to take the perfect selfie, alone or with your friends. 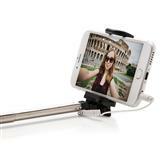 The selfie pole has an essential groove to avoid the pole from twisting and keep your phone in perfect place. 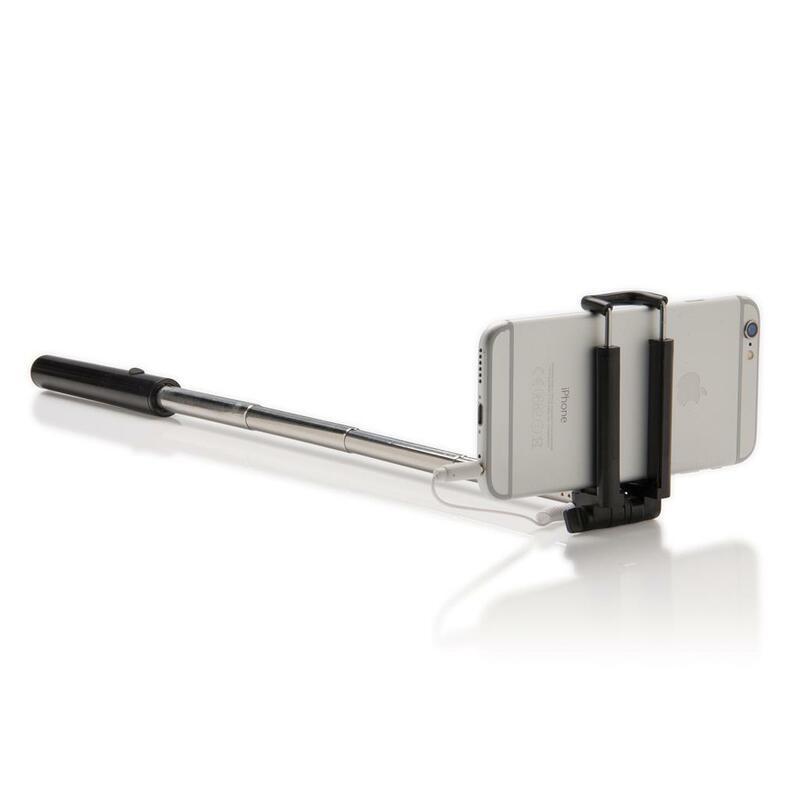 Suitable for both Android and iOS phones. Super small selfie stick only 15 cm!